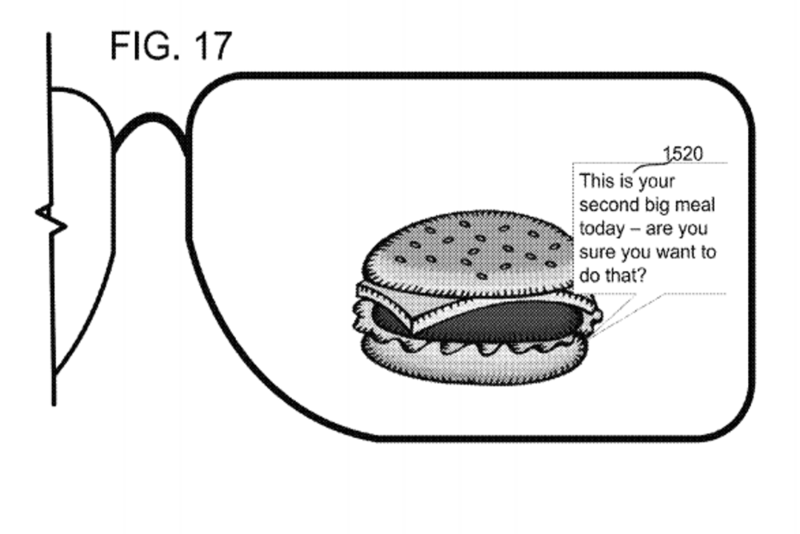 Microsoft wants to make it easier for people to track their eating habits with a newly patented wearable. Their augmented reality glasses provide meal recommendations based on the wearer’s nutritional needs and daily consumption. The AR glasses monitor light, sound, temperature and motion in the wearer’s immediate environment and can identify the nutritional values of a nearby food items. The glasses also track the wearer’s eye movements to note which foods they are considering eating. Should the wearer attempt to eat any food the glasses’ programming deems inappropriate, visual messages attempt to steer them to a different choice. Microsoft’s patent for the AR glasses was granted on May 9, 2017.